Rachel Jeantel, Trayvon Martin's friend and the prosecution's star witness, sat down with Piers Morgan to talk about her buddy. The interview is both lovely and painful — she's such an authentic, brave teenage girl, and it sounds like Travyon was a great kid. We all know how many saw her during the trial, and how at least one of the jurors understood her (or didn't), but I don't know how you watch this and see anything but an unfiltered, genuine teenager. One who suffered the tragic loss of a friend she spent hours and hours on the phone with each day. When she starts talking about Trayvon and their plans for life, it's just... it's heart-wrenching. 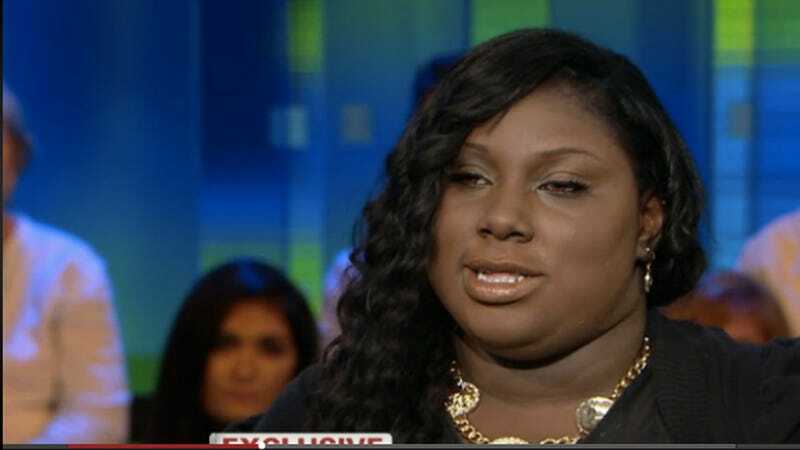 Why Is Rachel Jeantel Being Treated Like She&apos;s the One on Trial?